Whether you wish to share your love story, engagement memories, photos and videos of you and your loved one, a wedding website will be the perfect place to start. It will also become a nice place to share your wedding day schedule, the lists of invited guests, registry, logistics and other things a wedding is unthinkable without. That’s a perfect solution for couples, who intend to reach two goals at a time: keep their guests aware of the crucial wedding day plans and control each step of the preparation process. It can be somewhat overwhelming to decide, when and where to start your wedding website, if you’ve never been involved in website building before. To help you get through this task with ease, we’ve analyzed and summarized the most popular and affordable website building options. Check them out now. When it comes to wedding website creation, you will encounter multiple options to choose from. The simplest and the most convenient of them, however, is to use a website builder. This is a great solution for users, who have no idea of website development issues, but wish to get a full-featured wedding website to make an impression upon the visitors. You can use two types of website builders, namely all-in-one and specialized programs. This choice may seem somewhat complicated and overwhelming for users, who face it for the first time. Ease of Use. Website builders are intuitive and convenient to use, irrespective of the available web design skills. Creating quality and logically-structured websites with them doesn’t take much effort and time. No Coding Skills Needed. Even if this is your first web design experience, you don’t have to learn programming basics to create a project yourself. All-in-one website builders come with a set of wedding-focused features like location maps, accommodation details, guest lists, photo/video albums, ceremony live stream options, user comments etc. Thematic Wedding Templates. Most all-in-one website builders come with a set of wedding templates, customization of which is not a problem for everyone. Flexibility. While niche wedding website builders are mostly geared towards creating wedding sites, all-in-one platforms feature greater flexibility and unveil more options for detailed website customization. Affordability. Website builders frequently offer affordable plans, which feature the combination of functionality and ease of use. Are you right about to start working on your wedding website? Then it’s high time to have a look at the most popular all-in-one and specialized wedding website builders to get a general idea of the functionality and ease of use of both system types. If you are looking for a simple yet quality way to launch a wedding website, then Wix should be the first service to come to mind. The website builder works well for users with versatile web design skills and expertise rates. It is known for its convenience, advanced visual editing options, ease of use and simplicity. The platform has been around for over 12 years. The number of its active users has exceeded 130 millions of people and it keeps growing with every passing day. Wix is a perfect tool for the development of wedding websites of diverse sizes and performance scale. The dashboard of the service is intuitive, while its WYSIWYG website editor allows controlling each stage of the web design process. When it comes to the development of wedding websites, Wix has a number of undeniable advantages. Rich template collection is one of them. Wedding templates deserve special attention. You can access them in the “Events” category (Weddings and Celebrations section). They are impressive, professional and come with pre-designed content. The system has a preview option to let you view the details of a template you are going to choose. Make sure to use this option as the website builder does not allow changing the template during the web design process. All Wix templates are mobile-ready and there is an option allowing you to update the website content even on the go. • Cost – free to $24.50/mo. Users, who lack web design skills, will appreciate the Wix ADI tool the system offers. This advanced artificial website builder will develop a site for you based on the information submitted. This takes a few minutes only and this doesn’t require any effort at all. The process is quick, automated, time saving and very effective. Do you need to integrate powerful features into your wedding website to give it enhanced visual appeal and functionality? If so, then hurry up to browse Wix App Market to see what widgets and extensions it can offer you. Thus, you can make use of the Wix Events widget, Calendar, Google Maps, Eventbrite, Moovit – Maps and Routes, Lumifish Chronicles, Countdown Clock, Meetup, Social Network Buttons and what not. Wix has several pricing plans to meet any needs and budget. There is also a free version that allows testing the major features of the system prior to selecting a plan you’ll work with. As to the paid plans, there are five of them. The cost of subscriptions ranges between $4.50 and up to $24.50 per month. See also: Latest Wix review. When it comes to uKit, the website builder works for wedding websites not worse than Wix. The system was initially launched to build small business websites, but it can also be a decent choice for couples planning their wedding day. The platform is easy to use for people with diverse web design knowledge and skills. One of the highlights of the system is its exceptional ease of use. You don’t have to be a coding expert to design a quality wedding website with uKit. uKit can boast a rich selection of responsive templates, extensive photo gallery, design customization tools and integration options to launch a decent wedding website from scratch. uKit design collection is impressive and it creates positive impact upon users. You can choose any of the templates that meet the topic and your preferences. Thus, the collection includes themes for wedding websites, bouquet services, wedding agencies, decor companies and more. uKit templates are initially responsive. Whatever device you will use to access and browse them, they will perfectly adapt to the screen resolution and size. uKit allows switching the templates as you design your website. Your content won’t be lost while doing that. • Cost – $4 to $12/mo. Due to the convenient WYSIWYG website editor, you can create and manage photo galleries. This is crucial, when it comes to building a wedding website. All the templates are widescreen, while the images included into the designs look awesome with large miniatures, convenient preview interface, signatures, frames etc. Gallery customization doesn’t take much time and effort as well. uKit is one of the most affordable website builders available out there. The system has a free 14-day trial version and four paid subscriptions, the cost of which ranges between $4 and $12 per month. The price aspect really deserves the attention. See also: In-depth uKit review. This is a specialized wedding website builder, which comes with an abundance of free customizable designs and multiple options to give your website superior functionality. The developers of the WeddingWire service have taken care of its ease of use, making it possible to provide all the wedding-related information you might wish to present to your guests. WeddingWire boasts a collection of unique and responsive wedding templates. Their number exceeds 400 themes. All of them are free and you can choose any theme to come up to your current needs and design preferences. Apart from that, the service allows integrating a useful RSVP feature, making it possible for guests to leave their responds on a separate website page, if needed. To give your wedding website personalized design, you can create and manage a photo gallery. Due to the drag-and-drop website editor, this won’t take much time and effort, making your website individual and alluring. Among the other special features of the website builder, it makes sense to mention WedSocial integration, wedding planning checklist calendar, online guest list manager, address collector, seating chart and budget builder, vendor manager and other wedding-specific options that will certainly come in handy to you. 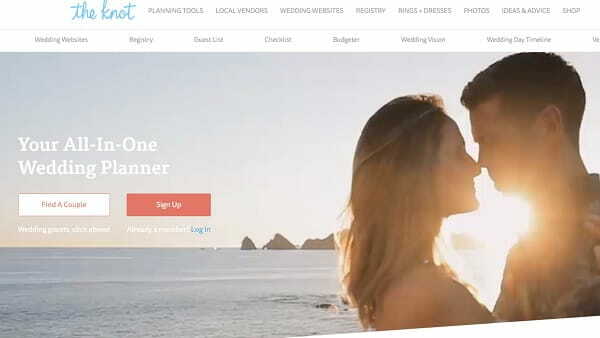 WeddingWire is a pretty nice variant of a specialized wedding website builder, which deserves the attention of couples, who don’t wish to bother about complicated systems, but still expect to get a decent result to create positive impact upon their guests. This is another variant of a quality wedding website builder featuring decent performance. The Knot implies fast and simple sign up process and it can be quickly explored even by inexperienced users. The website builder is a part of The Knot wedding planning system, which allows making the process enjoyable and hassle-free. The platform comes with hundreds of quality wedding templates. Their amount is less as compared to those in WeddingWire, but their quality is above the average. The templates are fresh, frequently updated and responsive. Their customization won’t be a problem as well. If you intend to cut down your wedding-related troubles to the minimum, then The Knot is a pretty nice option. The specialized website builder lets you focus on your wedding planning preparations, encouraging your guests and family members to join you at the website. When it comes to designing a quality website to attract your guests and keep them informed about the updates and details of the upcoming occasion, Minted Weddings is one of the services that are the first that come to mind. It is simple, functional, visually-appealing, easy-to-browse and convenient – this is right what you need to get started with your wedding website! The website builder boasts a unique collection of free wedding templates, which match a variety of printed invitations available for versatile designs and are developed by independent artists. There is also an opportunity to create and manage an image gallery, showcasing the photos of your couple. Online RSVP feature is supported here as well to enable your guests to leave their responds and inquiries, ask and answer the questions and stay in touch with you in other possible ways. The website builder offers a nice URL adding option. Due to it, your domain name will look like yourchoice.minted.us, which is quite concise to be remembered by your guests. Minted Weddings is a bit more complicated as compared to other specialized wedding website builders reviewed in the post. It has limited free options, while the paid features are unlocked on premium plans. Both types of wedding website builders we have reviewed above allow creating RSVP websites with almost no hassle at all. The question is: how would you like your website to look like and what exactly do you expect from it? If you need any website just to present your wedding-related information to the guests, then you can use any specialized free wedding website builder to launch your project in no time. However, if you want your wedding website to be the reflection of your love story and detailed preparations to one of the most remarkable occasions in your lifetime, then it definitely makes sense to consider using popular all-in-one website builders. Wix and uKit are the most convenient wedding website builders. They don’t require any special presentation to be remembered due to the extensive feature sets offered. Wix is a website builder, which is known for its ease of use, flexibility and advanced functionality. Due to the convenient WYSIWYG editor, stunning wedding templates, abundance of design customization tools, multiple widgets and one-of-a-kind Wix ADI feature, the platform stands out from the crowd, remaining the best in the contemporary web building niche. uKit has distinguished itself as the easiest website builder ever. And it’s also the most affordable one. 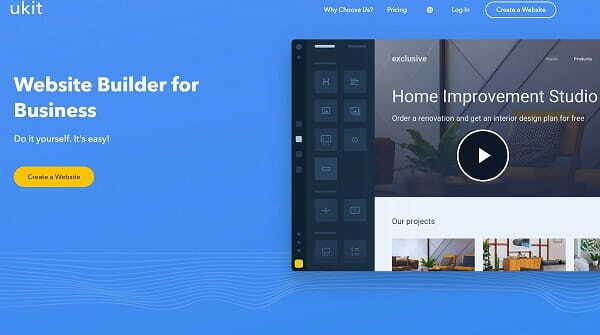 The website builder provides an intuitive drag-and-drop editor, lots of professional responsive templates and wedding-focused features. You don’t need complex coding skills to use the system. This is what makes it a great choice for beginners. 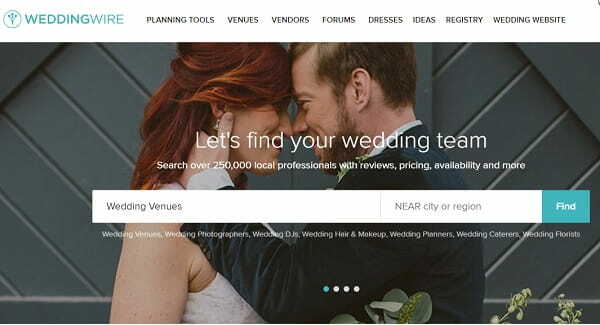 WeddingWire, The Knot and Minted Weddings are three specialized wedding website builders. They were created with the only purpose in mind – to ensure quick, simple and effective creation of wedding websites. Thus, they come with a set of features needed to launch a decent project of this type. These include wedding-specific templates, RSVP option, URL personalization, photo album and calendar creation and more. By using website builders, you will be able to design a wedding website that can create a wow-effect upon your guests. This is where they will be able not only to view your wedding information, but also to browse quality photos or videos as well as to share their ideas and opinions. You don’t need any programming, design or technical skills at all. You’ll get all the required tools to reach this goal for affordable cost.